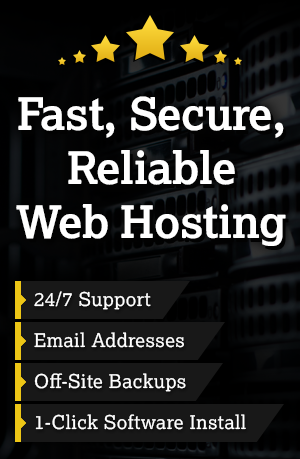 Businesses all over the world are looking for good eCommerce solutions to help grow their market share. There is no doubt, big or small, eCommerce is one of the best ways to grow your business, but don’t be fooled, e-commerce comes with its own kind of overhead, and that is ok. 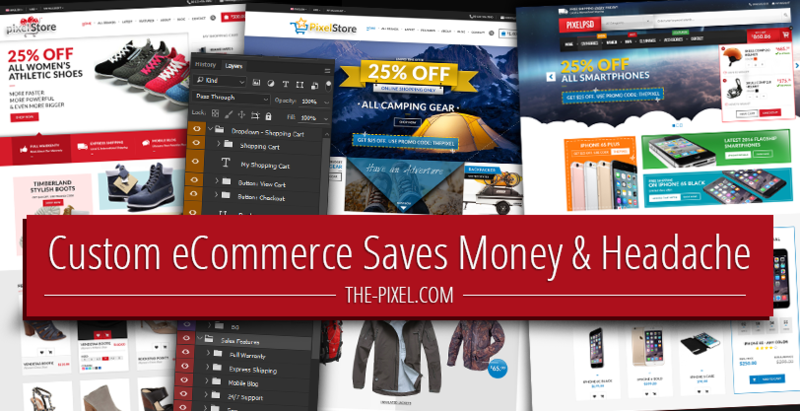 Properly built and customized eCommerce solutions are worth the money you invest in them because they save you manpower and headaches down the road. 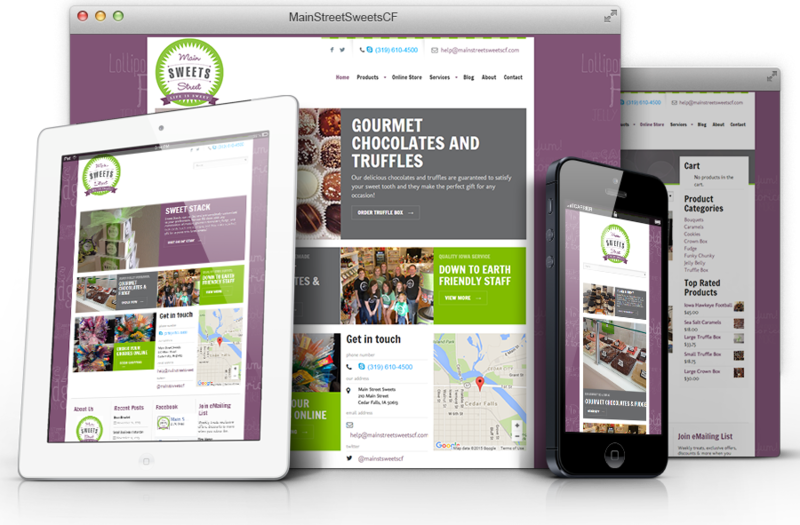 Checkout the custom e-commerce solution we created for Main Street Sweets of Cedar Falls, IA. There is nothing more frustrating than taking an eCommerce solution that just doesn’t do what you need and trying to make it work for you. That frustration doesn’t just apply to your staff though, it falls back on your customer as well. The solutions that payment processors offer, like Square or Paypal, do an ok job at presenting e-commerce to your customer, and they are no doubt easy to put in place and cheaper than custom built e-commerce but they have your limitations. If your businesses workflow doesn’t fit exactly into how these tools are built, you are going to struggle to make it work effectively. It is easy to forget shipments, miss orders, and mistake your customers intentions. Not only do custom solutions make a major impact on your professional image and usability to your customer, they also greatly reduce workload on your staff. 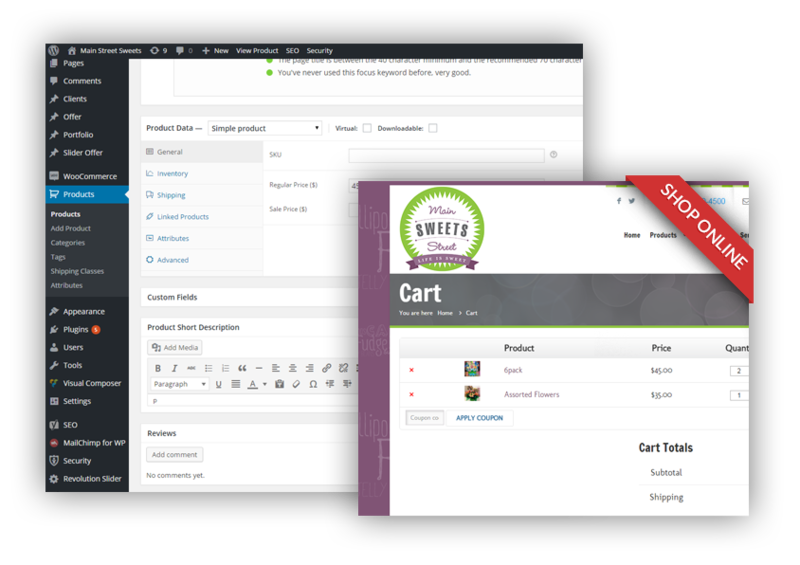 Custom solutions allow you to change and build an e-commerce workflow based on the way your business works. They allow your employees to focus on the jobs they have been tasked with, and not worry about making sure that the employee responsible for the next step of the commerce process knows they have work to do. These custom solutions also allow your employees to focus on accomplishing their tasks without adding extra steps in the process. You can have automatic emails sent to different employees based on tasks that have been accomplished, or alerting them to the need for their intervention. You can have certain orders go to certain staff, really the options are endless. If you want to take the next step and learn more about custom eCommerce solutions, get an quote today and let us help you build your business to the next level.